There are thousands of private boat owners in the United States. Newport Beach, California is the yachting capitol of the world. Maritime and boating accidents can be extremely serious usually resulting in death. 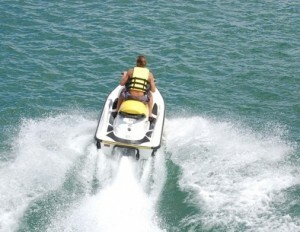 A boating accident can occur on a privately owned boat (yacht), personal watercraft (jet ski), cruise ship or a ferry. As a general rule, the captain (or operator) of a boat and its owner have a duty to exercise the highest degree of care in order to prevent injuries to others. The most common boating accidents are collisions with other boats, sinking’s, capsizing and boat disappearances. 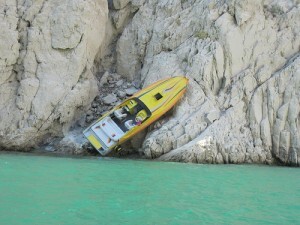 Boating accidents occur very quickly and in many different places. Lakes, canals, rivers, inter-coastal waterways and oceans are where tragedies normally occur. Last year in California, there were 744 boating accidents involving 439 injuries and 44 fatalities. According to the United States Coast Guard each year there are more than 8,000 boating accidents in the U.S. that result in 4,000 serious injuries and 800 deaths. There are specific boating laws that must be followed or fatalities can occur. The Law Offices of Gary A Kessler is familiar with the different state’s boating laws. We know the boating liability issues and will inform you of your true state, local and Federal boating rights and legal options which will result in successful outcome in your case. Does Federal Maritime Law or State Law Apply? Generally, the legal issues are similar to other personal injury claims such as questions related to negligence, causation and damages. But first we must determine which law will control the case – federal maritime law or state tort law. The differences between federal maritime law and state tort law are significant and sometimes determine the outcome of the case. Only an attorney who regularly handles boating injury cases has the experience to sort through the complexity of the law to maximize your monetary recovery. The potential claims of a person injured by a watercraft are determined by the category: seamen, social guest, business visitor, or bystander/swimmer/water skier. The category also determines the legal rules that will be applied to your claim. Most people injured on and around boats are categorized as a “social guest.” These claims will be determined by general maritime law and state law principles of negligence. It is a general rule of law that the operator of a boat and its owner has a duty to exercise a reasonable degree of care in order to prevent injuries to others. The most common boating accidents are collisions with other boats, sinking and boat disappearance. Boating injuries usually occur because of a reckless or careless operator, alcohol, boat malfunctions or an inexperienced boating (captain) operator. Operators of boats have a legal obligation to operate their watercraft in a safe and prudent manner. The overwhelming majority of boating accidents are caused by factors that can be controlled by the operator of the boat. The primary cause of boating accidents nationwide was operator inattention, followed by careless/reckless operation, operator inexperience, operating at an unsafe speed, and failure to have a proper lookout. Common violations of the duty of ordinary care in a maritime setting include a failure to warn against foreseeable harm, violations of “rules of the water,” such as excessive speed, failure to have proper lights, failure to yield, intoxication and others. Owners may also be held liable under the theory of vicarious liability. For example, an owner may be held liable for an operator’s failure to warn passengers of intended maneuvers, overloading the boat or permitting the guest to sit in a dangerous position. Accidents involving bystanders, such as swimmers or water skiers, are typically treated in the same manner as cases involving social guests. The law and courts where the accident occurred will generally control any lawsuits brought by injured bystanders unless the defendant boat owner asserts admiralty jurisdiction. Although most boating accidents occur due to the boat operator’s negligence or recklessness, some boating accidents are caused by a dangerous defect of the boat itself. Recently, several successful lawsuits have been won by plaintiffs arguing some type of failure of either the boat’s machinery or its hull (the body of the vessel). When an injury results because of a defective or dangerous condition of a boat, the injured person may have a products liability case against the manufacturer of the boat. The highly skilled boating accident attorney Gary A Kessler (and the Law Offices of Gary A Kessler) has the experience and track record, handling dozens upon dozens of successful lawsuits against the owners and operators of private boats, personal watercraft, cruise ships and commercial ferries. If you or a loved one suffered an injury or death due to a boating accident or while engaged in water sporting activities, consult experienced personal injury lawyer Gary A Kessler who has handled these types of claims as soon as possible. The laws that apply to injuries that occur on or around the water are extremely complex and must be carefully analyzed to correctly determine the liability issues and the value of your boating fatality case. For example, does state negligence law or federal maritime law or both apply? Who are the responsible parties? Is the cause of action against the owner of the boat for negligent operator or the boat operators or both? Did the boat malfunction creating a product liability claim against the boat manufacturer? Contact the Law Offices of Gary A Kessler who is experienced in boating accidents and Maritime law to protect your rights and preserve the evidence! Demand accountability from those responsible for the boating accidents. Many times the insurance companies will play “hardball” if you try to settle the case yourself or you have employed a lawyer who does not have the litigation experience to handle such a complex case. We at the Law Offices of Gary A Kessler have twenty-five years of litigation experience and know how to handle the insurance companies to your advantage. We are prepared to front all costs required for the necessary investigation and expert witnesses needed to prepare your case for trial. The laws regarding boating accident (drowning) cases are complex and include many facets of the law. It is vital to surviving family members to seek the advice of an experienced boating fatality lawyer such as Gary A Kessler at the Law Offices of Gary A Kessler to protect your rights and those of your loved ones. The California wrongful death attorney Gary A Kessler and the Law Offices of Gary A Kessler are compassionate and fully understand that you are attempting to cope with extreme grief and sorrow associated with the loss of a loved one in a tragic boating fatality (drowning) accident. The Law Offices of Gary A Kessler carefully selects its wrongful death/drowning/boating fatality cases so that we may give you (the client) the substantial personal attention necessary to obtain a successful result for your boating fatality/drowning accident case. The Law Offices of Gary A Kessler is prepared to front all costs required for a thorough investigation and top expert witnesses to prepare for the trial of your case. As in all wrongful death and serious personal injury cases, we advance all legal costs to prepare and present our client’s claim, and receive for our services only a percentage of what we recover for our attorney fees on their behalf. Upon settlement our costs shall be reimbursed to us from the gross recovery. If there is no recovery, no attorneys fees or costs are owed to our firm. The Law Offices of Gary A Kessler has the successful track record and reputation for aggressively representing our clients for recovering tens of millions of dollars in boating fatality cases in Arizona, California, Oregon, Washington and Florida in both State and Federal Counts.